The post The Top Things to do in Virginia This March appeared first on Virginia’s Travel Blog. We’ve covered the most photogenic sweet slices of pie from Virginia bakeries, but there is another kind of slice we want to look at, and that’s the savory goodness of pizza, found at these ten Instagram-worthy pizza joints. Located inside Farmville’s Historic Hotel Weyanoke, Effingham’s Restaurant specializes in artisan wood-fired pizzas, highlighting the freshest seasonal ingredients from local farms. Crozet Pizza has been a community staple since 1977, using their secret family dough and sauce recipes to craft hand-tossed pizzas that are topped with locally sourced cheeses, meats, and produce. While another PBR may spring to mind, this restaurant’s name is actually short for “Pizza & Beer of Richmond”, a popular combo for Virginia’s capital city residents. Try one of their creative brick oven craft pizzas, like the Hipster, piled high with roasted Brussel sprouts, bacon, cauliflower, roasted garlic, ricotta, caramelized onions, Fresno peppers, spicy honey, and mozzarella, or the Southern Belle, topped with pimento cheese, bacon, arugula, fried green tomatoes, and spicy honey. Pair your tasty pizza with one of their 48 draft brews, many of them local Virginia craft beers. Dr. Ho’s Humble Pie, shortened to Dr. Ho’s by diehard fans, believes in taking pride in their pizza, crafting everything from scratch. They start the process with a homemade dough, hand-tossing into a base crust before topping with local, fresh ingredients from farms in the region. Today at Dr. Ho’s… we made pizza. Serving up fire-roasted gourmet pies, Waterstone Pizza is located in downtown Lynchburg’s Historic Craddock Terry Hotel. Ranging from Classic Cheese to artisan blends like the Hot Roni (red sauce, double pepperoni, jalapenos, chili flakes, cheddar, and mozzarella), they have over a dozen crisp-crusted pizzas on the regular menu, with a Build Your Own option adding tons of additional variations. One of Southwest Virginia’s most popular pizza places, Dogtown Roadhouse serves hand-tossed, wood-fired pizzas in the charming small town of Floyd. For a taste of local cuisine, try the Appalachian pizza, made with their unique Apple Butter sauce and topped with sausage, caramelized onions, aged white cheddar, and goat cheese. The Bakehouse at Chelsea creates delicious wood-fired pizzas in one of their two custom built ovens. We recommend the Salami Arugula Pizza, topped with a blend of fontina and mozzarella cheeses, thinly sliced naturally cured salami, and fresh arugula, or stick with a classic and try the Pepperoni, shown in the photo below. Pupatella began in Arlington, but has since grown to include locations in Richmond and Glen Allen, with more Northern Virginia locations in the works. Founded by a native of Naples, Italy, the restaurant has been certified by the Verace Pizza Association, which recognizes authentic Neapolitan pizza. Located near Charlottesville’s Historic Downtown Mall, Lampo is an authentic Neapolitan pizza restaurant, serving wood-fired pies with crisp, handmade crusts and high-quality toppings sourced from small-batch producers and local farmers. Bella Luna is Harrisonburg’s first farm-to-table pizza restaurant, cooking up Neapolitan-style, thin crust pizzas in their traditional wood-fired oven. Their Old-World approach reflects the style of pizza originally made over 200 years ago in Naples, Italy, and results in delicious, crispy pizza with flavorful toppings. Got more suggestions for pizza places to try in Virginia? Tell us where to get the best slices in the comments below! The post The 10 Most Instagram-Worthy Pizzas in Virginia appeared first on Virginia’s Travel Blog. The post The Ultimate Girlfriend’s Getaway: 21+ Things to Do in Shenandoah County appeared first on Virginia’s Travel Blog. The First Lady of Virginia, Pamela Northam, interviews Jon Meacham and Jefferson descendant Gayle Jessup-White to get their thoughts on Virginia’s historic sites. Growing up in Virginia and knowing the amount of history that happened here is something I took for granted, as many do. School trips to places like Jamestown and Mount Vernon were never too far a drive, and even George Washington’s childhood home in Fredericksburg was only a stone’s throw away from my own. Fortunately, I realized how special these places were sooner rather than later. I love the feeling of time and place that’s captured at many historic sites, and find comfort in knowing their landscape will go mostly unchanged for many years to come. But recently, significant changes have made way into some Virginia’s most prominent historic sites, changes that many believe were long-overdue. Decades-long research and archaeology has uncovered facts and stories about the enslaved communities who once lived and worked here. These findings have led to many recreated structures and dialogue that better represent the lives of the enslaved. They have given me reason to visit again and often, but more importantly they’ve allowed the sites to tell a more comprehensive story of the past. Notable sites telling the stories of their enslaved communities are featured below along with other new exhibits and helpful information for planning your next visit. Home of the first U.S. President and Father of Our Country. Mount Vernon is perched high above the Potomac River just outside of Washington D.C., where Washington lived from age 22 until his death in 1799. More than 300 slaves worked the 8,000 acres over his lifetime, and he was the only slaveholding founder to free his slaves in his will. What’s New: Step into Washington’s shoes and make his challenging decisions through the Be Washington exhibit. Explore the personal stories of the enslaved and gain insight into Washington’s evolving opposition to slavery through the Lives Bound Together exhibit. Know Before You Go: Ticketing and tours begin at the main entrance visitor center. Open 365 days a year, April to October from 9:00 a.m. – 5:00 p.m. and November to March from 9:00 a.m. – 4:00 p.m. House tours begin every 15 minutes. An autobiographical masterpiece, designed and redesigned for more than 40 years, this mountaintop estate lets you glimpse into Jefferson’s life and many accomplishments, as well as the paradox he lived by illustrating “all men are created equal” while enslaving more than 600 people over the course of his life. What’s New: Monticello underwent a multi-year restoration of Mulberry Row, once the industrial “main street” of the 5,000-acre agricultural enterprise. Learn more through a slavery tour and visit the Life of Sally Hemings – Jefferson’s concubine who not only bore several of his children but successfully negotiated their freedom as well. Know Before You Go: Open daily from 10:00 a.m. to 5:00 p.m. with the first tour starting at 10:15 a.m. and the last at 4:10 p.m. Arrive 30 minutes before your scheduled tour and park at the visitor center where you’ll take a short shuttle to the house. After your house tour, explore additional tours and exhibits on the grounds included in the price of admission. Jefferson owned several plantations, but only designed and built elaborate homes for himself at Monticello and Poplar Forrest. Poplar Forest was his personal retreat where he “came to indulge in the life of the mind and renew his personal creativity.” Explore its restoration and see how the neoclassical architecture of the octagonal house has been returned to Mr. Jefferson’s design. What’s New: Learn about those who labored for Jefferson’s happiness through a guided enslaved community tour. Dig deeper through an Archaeology Behind-the-Scenes Tour or Barrels, Bottles and Casks Tour. Know Before You Go: Poplar Forest’s more than 600 acres sits just outside of Lynchburg. Open daily from 10:00 a.m. – 5:00 p.m. for guided tours every hour from mid-March to December 30. Learn about Madison and his critical role in drafting the U.S. Constitution and Bill of Rights, as well as his conflict with the institution of slavery. The fourth U.S. President and Father of the Constitution did much of his research and writing at Montpelier, where his desk still sits in the library today. What’s New: Archaeological research is returning the House and landscape to its original appearance. The Mere Distinction of Colour exhibition, located in the cellars and south yard, examines the paradox of America’s founding era, exploring slavery to connect the past to the present through the lens of the Constitution. Know Before You Go: Located 30 miles northeast of Charlottesville, Montpelier is open daily from 9:00 a.m. – 4:30 p.m. with guided house tours every 30 minutes beginning at 10:00 a.m. Neighboring Monticello, Monroe was a close friend and student of Jefferson who urged him to move to the area to create a “society to our taste.” Monroe spent half of his 50 years of public service at Highland. Set on more than 500 acres, the house and gardens are nestled along a ridge with a landscape preserved much like Monroe would have known it. What’s New: Archaeologists recently found Monroe’s Presidential Guest House built in 1818 and a new augmented reality tour brings it to life through a digital rendering. Know Before You Go: Highland is open daily for guided tours April through October from 9:00 a.m. – 6:00 p.m. and November through March from 11:00 a.m. – 5:00 p.m. The Slavery at Highland program is offered April through October from 10:00 a.m. – 2:00 p.m.
No place feels as alive and authentic as the streets of Virginia’s colonial capital. Step back in time with historical interpreters portraying real people who lived in 18th-century Williamsburg, such as Patrick Henry, George Washington and the young Thomas Jefferson, along with lesser known figures like Aggy, a slave fighting for her family’s freedom while entangled with her master. What’s New: Relive when Virginia said “yes” to American Independence through the thought-provoking play, Resolved: An American Experiment. Visit Market Square to shop the 18th-century market, dine at period taverns and enjoy happy hour in their colonial gardens. Know Before You Go: Find free parking at the visitor’s center. Hop on a colonial carriage ride or explore by foot or shuttle bus. Check the daily event calendar and plan around your interests. The grounds and taverns are public, but an admission ticket is needed for events, performances and building entries. Virginia’s beginnings were established in 1607 at the first permanent English settlement in the new world. Explore the original settlement at Historic Jamestowne with onsite archaeology and exhibits telling the stories of its three cultures – European, Native American and African. Visit the adjacent Jamestown Settlement museum for more exhibits, films and recreated living history. What’s New: Archaeology at Historic Jamestowne recently uncovered two important figures in America’s early history: the possible remains of George Yeardley, Virginia’s first governor, as well as the site occupied by Angela, the first recorded African to arrive in the new world. A new exhibition at Jamestown Settlement, Tenacity: Women in Jamestown and Early Virginia, explores real women of Jamestown, their tenacious spirit and impact on a fledging society. Know Before You Go: Plan to visit both Historic Jamestowne and Jamestown Settlement, adjacent to each other along the James River in Williamsburg. Both are open daily from 9:00 a.m. to 5:00 p.m.
Visit Virginia.org/history to find more historic sites and discover commemorative 2019 American Evolution events and exhibits. The post Unearthing Virginia’s History at 7 Significant Historic Sites appeared first on Virginia’s Travel Blog. If you followed us in 2018, the team at Virginia is for Lovers “Crushed Fridays” each month in a new destination, choosing the most entertaining activities in the area to fill 72 hours with delicious food, outdoor adventures, and plenty of award-winning craft beer, wine, and spirits. Our goal was to inspire you to take a single day off work and turn it into an affordable and approachable three-day getaway, relieving you of the stress that often comes with researching and planning a vacation. And after looking at the results for 2018, we are happy to report that it’s working! But while the short-term news is good, vacation days are still going unused for many Americans in the workforce. To keep you motivated in 2019, we’re wrapping up our Crush Friday series with a visit to Virginia Beach, a beachfront destination that offers nonstop fun, even in the off-season. So take a Friday off work and spend three days following our step-by-step guide to Virginia Beach, Virginia’s largest coastal city. Before leaving the beach and traveling homeward, grab lunch at Commonwealth Brewing Company. The brewery hosts a local food truck every day, rotating between fare like barbecue and southern favorites to German, Asian, and Mexican cuisine. Pair your lunch with one of the brewery’s artisanal beers, which lean towards hop forward Belgian Lagers and wild barrel-aged brews. If weather permits, snag a seat outside and enjoy your lunch in the outdoor Biergarten, savoring the final few minutes of your 72-hour getaway to Virginia Beach. The post Crush Friday: Your Mini-Vacation Guide to Virginia Beach appeared first on Virginia’s Travel Blog. 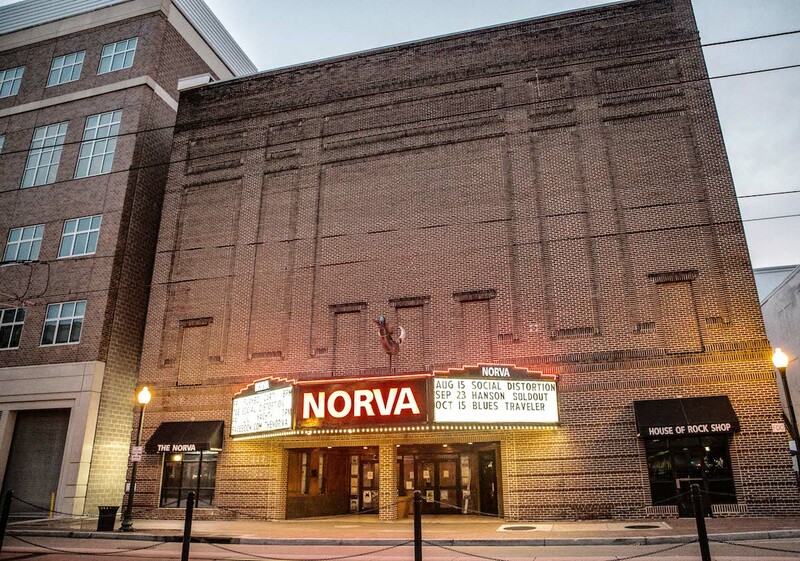 From Broadway musicals and Shakespeare plays to folk music and opera, Virginia’s performing arts centers and theatres give visitors the chance to experience live entertainment of all kinds. National parks, century-old theatres and more bring an extra bit of charm to each performance. Some venues can be rented for special events or performances of your own. Circa 1905, The Historic Masonic Theatre was originally an opera house. Virginia’s oldest continuously operating theatre, it opened its doors to the public once again in July 2016 after a 6.5 million dollar renovation. A movie theatre and a performing arts venue, the four story building has a state of the art 545-seat auditorium, an underground cafe and lounge area, a balcony with seating and conference room and an upper level ballroom suitable for wedding receptions and gatherings. Zeiders American Dream Theatre provides a unique professional venue in which upcoming artists and performers can showcase and develop their crafts in real time. Their 300-seat theater offers an intimate, interactive complement to larger venues in the area. Visitors get the opportunity to enjoy entertainment that they won’t get anywhere else. After first opening its doors in 1948, Ashland Theatre served as a center of entertainment for the charming town of Ashland until 1998. The historic building went under renovation in 2014 and after four years of careful restorations, the theatre reopened in December 2018. A 300-person theatre on Route 54, the Art Moderne venue will host current and classic movies, live music, and theater performances. 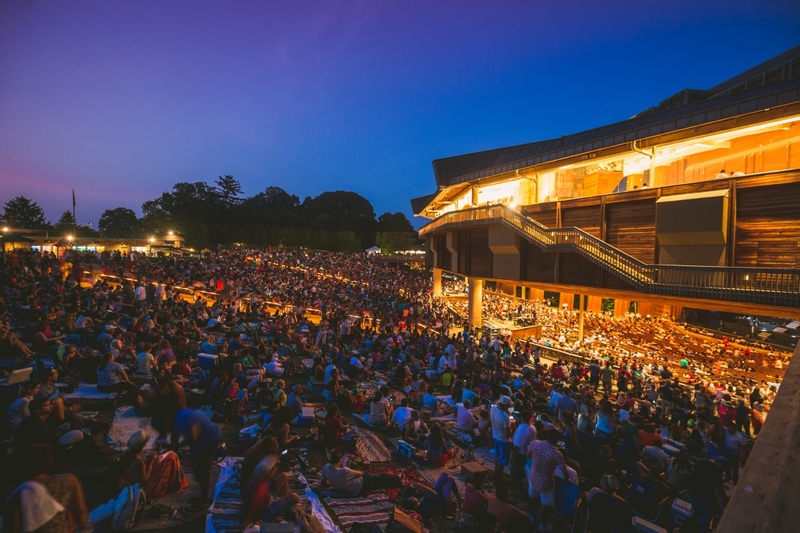 Situated in a majestic natural setting, Wolf Trap National Park for the Performing Arts is the venue for over 100 performances across all genres from pop, country, folk and blues to orchestra, dance, theater and opera, as well as innovative performance art and multimedia presentations. The Filene Center season usually runs May-September with an average of 90 performances each year. October-May, Wolf Trap’s 352-seat indoor venue, The Barns at Wolf Trap, continues to present a diverse line-up of artists in a casual and more intimate atmosphere. Performances at the Hylton Performing Arts Center include everything from national and international touring acts like the Vienna Boys Choir, Clint Black, and the Reduced Shakespeare Company to the Moscow Festival Ballet, and the Shanghai Acrobats. The Hylton Center is also home to many regional artists. Custom a la carte performance options are available for groups. The center offers the perfect backdrop for any occasion — creating a truly memorable event! The opera house seats over 1,100 and the grand foyer, art gallery are available as well as cast rooms and conference rooms. Showing family favorites such as “The Princess and the Pea” and “The Cat in the Hat”, along with comedy and live music, Barter Theatre invites you to laugh, scream, gasp and lose yourself in a world of adventure. Experience world-class entertainment and watch stories unfold at the nation’s longest running equity theatre. Student matinees, backstage tours and special group rates are offered. The Historic Gilliam Stage accommodates up to 506 patrons. Watch Broadway-style professional productions in the 200-seat venue after enjoying a four-course plated meal customized to fit the theme of the production at Wohlfahrt Haus Dinner Theatre. Find the perfect souvenir in the Edelweiss Gift Shoppe featuring many German collectibles and theatre memorabilia. Fireside dining is also available in the Matterhorn Restaurant and Lounge and café-style dining in the beautiful outdoor Bier Garten. Group rates are available and the mainstage arena is the perfect place to host your next big event! The world’s only recreation of Shakespeare’s own indoor theatre, the American Shakespeare Center’s Blackfriar Playhouse is located in historic Staunton. Year-round performances are offered in the 300-seat Renaissance-style theatre. The space is intimate enough to experiences the plays in a fast paced, spirited style where the audience is always part of the show. Student performances and group packages are available. Enjoy a Broadway-quality production preceded by a three-course gourmet meal served by performers at Riverside Center Theatre. Noted for musical productions of the highest quality, Riverside now also features live music. Dinner theatre performances are offered Thursday through Saturday and matinee performances are available on Wednesday and Sunday. The Children’s Theatre presents lively, shorter productions for children of all ages. Special rates are offered for groups of 12 or more. One of three Art Deco Mayan Revival-style theatres in the world, The Lincoln Theatre is on the National Register of Historic Places. 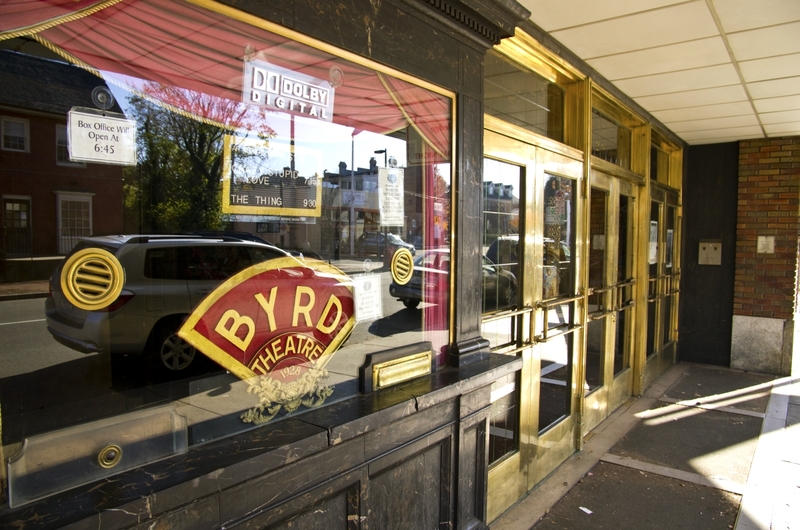 Originally built in 1929 as a vaudeville and movie house, the theatre has hosted entertainment legends like Roy Rogers and Ralph Stanley. Fully renovated and reopened in 2014, The Lincoln now hosts live music and musicals. With a seating capacity of 500, the venue can also be rented for concerts, theatre performances, weddings, and other special events. The 1,308 seat Sandler Center for the Performing Arts is the perfect setting for intimate concerts, Broadway performances, comedians, and more, with the furthest seat being 100 feet from the stage. The center also offers an outdoor venue able to accommodate up to 400 patrons for festivals, outdoor performances, and social activities. The Grand Lobby is a perfect setting for catered events featuring the dramatic chandelier and a grand staircase. The post Live Performances and Venues Will Have your Group Applauding for More appeared first on Virginia’s Travel Blog. Although the year has just begun, we have already started thinking about our travel plans for 2019. While planning vacations can easily become an overwhelming task, we have three suggestions based off of the 2019 Virginia is for Lovers Travel Guide covers to help you get started! In 2018, Roanoke became the first and only community on the entire East Coast to be designated by the International Mountain Bicycling Association as a Silver-Level Ride Center. The surrounding Blue Ridge Mountains have hundreds of miles of mountain biking trails for all skill levels, making Roanoke a prime destination for outdoor lovers in 2019. There are several key trails to take note of as you plan your visit. Dody Ridge Trail, located just off the Blue Ridge Parkway, is a challenging 14-mile singletrack course that only the experienced mountain bikers should attempt; trails are rocky and loose, but the spectacular views from the mountain are worth the effort. Carvin’s Cove Natural Reserve offers nearly 60 miles of trails and is known as one of the best places on the East Coast for mountain biking. For a less advanced mountain biking adventure, head to the Mill Mountain Star Trail, which begins at UnderDog Bikes, running along the paved Roanoke River Greenway before climbing up Mill Mountain to the iconic Mill Mountain Star and descending along the Ridgeline Trail back to your starting point. In addition to mountain biking, many of the trails surrounding Roanoke are multi-use, welcoming hikers to explore the picturesque trails of Virginia’s Blue Ridge Mountains. Located where the Chesapeake Bay and the Atlantic Ocean converge along the East Coast, Virginia Beach offers miles of sandy shores for you to explore in 2019. Whether you want to take the family for a quiet coastal vacation (book a rental home in Sandbridge) or want to be in the thick of the action (snag a reservation at a hotel right on the Boardwalk), a vacation to Virginia Beach offers something for everyone. Looking for a little luxury in 2019? Stay at the newly renovated Cavalier Hotel, which contains several upscale restaurants, a lavish spa, a stunning indoor pool, and the only distillery located inside a hotel in the United States. Craft beer lovers will find a wide array of breweries all within a few miles of the beachfront, giving visitors a refreshing taste of the Commonwealth’s impressive brew scene, and several notable state parks in Virginia Beach provide pristine hiking trails and a glimpse at coastal wildlife in its natural habitat. No matter where you travel in Virginia, history abounds. One of the most significant historic sites, Thomas Jefferson’s Monticello estate, recently underwent a multi-year restoration of Mulberry Row, the 5,000-acre plot of land that once served as the estate’s industrial center. Tour the historic property and visit the Life of Sally Hemmings exhibit, a poignant display that tells the story of Jefferson’s African American enslaved mistress and the six children that she bore him. A fascinating and courageous woman, Hemmings would successfully negotiate the freedom of those children from Jefferson, saving them and their own offspring from the harsh life of slavery. 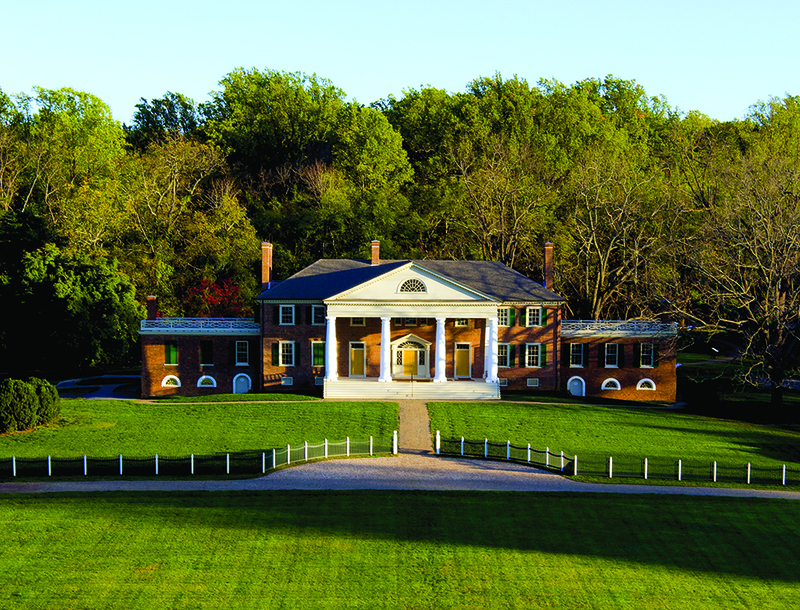 In addition to the special exhibits and restorations at Monticello, 2019 marks the 400-year commemoration of several pivotal historic events, including the first representative legislative group to assemble in the New World, the arrival of the first women and Africans to Colonial-claimed North America, and the first official English Thanksgiving in America. Acknowledging these important anniversaries, some of Virginia’s well known historic destinations will host special celebrations and exhibits in 2019, making it the perfect time to brush up on your American history with a visit to Virginia. Want to find out more about these exciting Virginia travel stories? Order your 2019 Travel Guide to get the magazine mailed to your front door, providing you with even more helpful travel tips and unique trip ideas for the year! Tell us, what Virginia destinations are on your travel bucket list for 2019? The post Three Memorable Virginia Vacations for 2019 appeared first on Virginia’s Travel Blog. It’s the most wonderful time of the year…the time when calories don’t count and it’s acceptable to indulge in rich holiday dishes and desserts. Satisfy your sweet tooth this holiday season with decadent confections from some of Virginia’s finest bakeries, bars, and restaurants. Whether you’re looking for seasonal cocktail creations or desserts made with traditional Virginia flavors, these five dining destinations serve up a generous helping of holiday spirit. Sugar Shack opened as a single store back in 2013, but now the famous donut shop has eleven locations throughout Virginia, with three more scheduled to open in 2019. Their donuts are hand-rolled and cut every single day, and they use fresh berries and apples rather than frozen fruits or dried ingredients to ensure the most authentic, delicious flavors. Sugar Shack has several tasty seasonal donuts, including Red Velvet donuts with cream cheese frosting, Gingerbread Glaze donuts, and Mint Hot Cocoa donuts. Order a few dozen, and while you’re waiting, sip on their Mint Mocha Latte, a heavenly holiday beverage that pairs perfectly with their donuts. The desserts of Red Truck Bakery have been heralded by many notable publications, including the New York Times, Washingtonian magazine, and Garden & Gun, but the biggest endorsement came from former President Barack Obama, who raved about their pie in a handwritten letter (and even took a picture of him eating the pie in the Oval office!). The bakery has all sorts of incredible goodies to share with friends, family, and coworkers during the holiday season, like the Lexington Bourbon Cake made with fresh ginger, the Gluten Free Flourless Chocolate Truffle Cake, the Shenandoah Apple Cake, and the Kentucky Bourbon Pecan Pie. If you can’t make it to the Warrenton or Marshall bakery locations, you can order online and have your holiday desserts shipped to you anywhere in the country! Offered daily through December 31, the Chocolate-Making Demonstrations at Mount Vernon teach visitors how the decadent dessert is made, from the cacao seed to the chocolate mills, as well as how it was used in Mount Vernon to make hot chocolate and other special treats when Washington presided over the historic estate. Mount Vernon has several other holiday food tours and classes offered daily throughout December, including a Holiday Time for the Washingtons Tour, where you’ll learn how food was grown, preserved, prepared, and served during the colonial holiday season, and a Pie Making Class, which focuses on both sweet and savory pies typically made in the 18th century. The Williamsburg Winery’s on-site restaurant, Gabriel Archer Tavern, offers a homemade eggnog trio during the holidays, bringing seasonal ingredients to your glass. This delectable flight includes Toasted Cardamom eggnog, Falling Bark Farms Hickory Syrup eggnog, and Candied Cranberry eggnog. Afterwards, head over to the winery to sample their award-winning vintages and pick out a few bottles to take home for any upcoming holiday celebrations (or as gifts!). If holiday cocktails are on your wish list this season, stop by The Jasper in Richmond’s Carytown neighborhood, which is transformed for the holidays into The Miracle on Cary St. The holiday-themed pop-up bar is a member of a group based out of New York City that has pop-up bars throughout the world, but The Jasper has the distinction of being the first and only Virginia location. They offer an array of seasonal cocktails, with festive names like the Snowball Old-Fashioned, the Christmas Carol Barrel, and the Koala-La La La La, La La La La, which is served with a tiny toy koala gripping the glass. In addition to the Miracle on Cary St., Rappahannock Oyster Company’s Rapp Session (also in Richmond) and 14 Loudoun, located in Leesburg, both transform into holiday pop-ups, becoming Christmas Session and Fa La La, respectively. Visit these magical bars throughout December for seasonally-inspired cocktails, festive decorations, classic Christmas music, and tons of holiday cheer. These are just a few of the holiday-inspired foodie experiences you’ll find in Virginia this season. Tell us, what restaurant fills your heart (and stomach) with the spirit of the holidays? The post 5 Places in Virginia for Holiday Treats, Sweets, & Cocktails appeared first on Virginia’s Travel Blog. Virginia has lots to look forward to in 2019, from luxury boutique hotels featuring rooftop bars to brand new restaurants from critically-acclaimed chefs that serve up fresh and exciting flavors. But we also wanted to take a moment to look back on the best of 2018 and share our must-visit places for the year. Use this guide to the latest and greatest in Virginia to start making your upcoming travel plans for 2019! The Cavalier—Virginia Beach: Iconic luxury resort renovated to include 85 opulent guest rooms and suites, two upscale restaurants, and a distillery. The Blackburn Inn—Staunton: Historic boutique inn with modern, upscale amenities. Hotel Madison—Harrisonburg: Full-service hotel connected to the Shenandoah Valley Conference Center in Downtown Harrisonburg with mountain views. The Bristol Hotel—Bristol: 1925 structure renovated into a 65-room boutique hotel in downtown Bristol, featuring a rooftop bar with views of the Appalachian Mountains and two restaurants serving locally-sourced cuisine. Western Front Hotel—St. Paul: Modern, outdoor-themed boutique hotel with a rooftop terrace bar and an upscale restaurant serving Appalachian cuisine. The Clifton—Charlottesville: The boutique hotel, restaurant, and wedding venue was renovated in 2018. Dover Hall—Richmond: Private estate was converted into luxury lodging suites and an upscale wedding venue. The Williamsburg Lodge—Williamsburg: One of the hotels at Colonial Williamsburg, the hotel was newly renovated as a Marriott Autograph Collection property in 2018. The Draftsman—Charlottesville: Vibrant boutique hotel opened on the Downtown Mall in Charlottesville. Kimpton Lorien Hotel & Spa—Alexandria: In the heart of Old Town Alexandria, the boutique hotel was refreshed in 2018. Hotel Weyanoke—Farmville: Historic boutique hotel in the heart of Downtown Farmville and across the street from Longwood University. Contains two restaurants, a coffee shop, and a rooftop bar. The Virginian Lynchburg—Lynchburg: Historic Downtown Lynchburg hotel restored to include modern amenities and featuring several on-site dining options, a rooftop restaurant and bar, a coffee shop, and over 8,000 square feet of event space. Stonewall Jackson Hotel—Staunton: The historic luxury hotel in Downtown Staunton was renovated in 2018. Glass Light Hotel & Gallery—Norfolk: Boutique hotel in Downtown Norfolk’s Historic District with a rooftop bar. Element Hotel at Peninsula Town Center—Hampton: New property for the Starwood Hotels & Resorts brand opening with over 120 rooms, scheduled to open in fall 2019. Moxy—Richmond: 104-room boutique hotel from Marriott brand slated to open in 2019. Bar Solita—Richmond: Mediterranean tapas and brick oven pizza restaurant in the heart of the Art’s District. Perch—Richmond: New restaurant in Richmond’s Scott’s Addition neighborhood focusing on Pacific-inspired flavors. Alewife—Richmond: Mid-Atlantic seafood restaurant inspired by the Chesapeake Bay and Virginia flavors. Le Kon—Arlington: Mexican restaurant in Clarendon opened by former Top Chef star. Hole in the Wall Waterfront Grill—Gwynns: Specializes in local seafood from William’s Wharf Oyster Company and Seafarms. Adrift—White Stone: Community-focused restaurant in Virginia’s River Realm that serves local seasonal flavors in an upscale yet approachable menu. The 606—White Stone: Restaurant complex with The Quays, an Irish restaurant and bar, and Walkabout Creek, specializing in Australian cuisine. Mama Chang—Fairfax: Newest concept for Chef Peter Chang, serving home-style Chinese cooking, opening early 2019. Quarter Market—Arlington: 18-concept food hall featuring South American restaurant Maizal, Slapfish, a casual seafood restaurant, Sloppy Mama’s BBQ, and many more. Dirt—Arlington: Florida-based health-centric restaurant opening its first Virginia location in the Ballston Exchange building. Menu features several vegan and vegetarian options as well as locally sourced organic meats and seafoods. Buskey Cider on the Bay—Cape Charles: The second location for the Richmond-based cidery, this is the first cidery for Virginia’s Eastern Shore. Farmhouse Brewing Co.—Virginia Beach: Eight-acre craft brewery and cidery from the owners of Back Bay Brewing Company in Virginia Beach. Courthouse Creek Cider—Richmond: Courthouse Creek Cider opened their second location, with an outdoor patio and upstairs cider garden, in Richmond’s thriving Scott’s Addition neighborhood. Bacova Beer Co.—Hot Springs: Five-barrel brewhouse just steps from the Omni Homestead Resort. Cape Charles Brewing Company—Cape Charles: Family-owned brewery and restaurant located on the southern end of Virginia’s Eastern Shore. Black Narrows Brewing Company—Chincoteague: Brewery built in a converted historic oyster house on the northern end of Virginia’s Eastern Shore. Basic City Beer Company—Richmond: Second satellite location for the Waynesboro-based brewery in Richmond’s Manchester neighborhood. 7 Dogs Brewpub—Wytheville: New brewery located in the Historic Carpender Building in downtown Wytheville, often features live music. New Realm Brewing Company—Virginia Beach: Georgia-based brewery opened a new location in Virginia Beach. Box Office Brewery—Strasburg: Craft brewery and restaurant housed in the Historic Strand Theatre of Strasburg. Bingo Beer Company—Richmond: Brewery, full bar, game hall, and restaurant located in Richmond’s Scott’s Addition neighborhood. Settle Down Easy Brewing Co.—Falls Church: Newest nanobrewery for Northern Virginia. Halcyon Days Cider Co.—Natural Bridge: Small farm and cidery in the Blue Ridge Mountains that grows their own apples for their hard cider. Sly Clyde Ciderworks—Hampton: Tap room serving hard ciders made with 100% Virginia-grown apples. Skipping Rock Beer Co.—Staunton: Craft brewery outside of downtown Staunton, tentative open date of February 22, 2019. Seven Sisters Brewery—Wytheville: Family-friendly brewery and restaurant in Southwest Virginia that plans to open May 2019. Eastern Divide Brewing Company—Blacksburg: Slated to open early 2019. Heliotrope Brewery—Lexington: Farmhouse-style brewery producing rustic ales and lagers, set to open early 2019. Dogtown Brewing Company—Richmond: Craft brewery with rooftop views opening in Richmond’s Manchester neighborhood in 2019. Richbrau Brewing—Richmond: One of Richmond’s original breweries, Richbrau finds a new home in Shockoe Bottom and plans to reopen their brewery in 2019. Old Ox Brewery—Middleburg: Second location for the Ashburn brewery, opening a tasting room and beer garden in Middleburg. Twisted Knot Brewing Co.—Newport News: Opening spring 2019 on Canon Boulevard in Newport News. Tabol Brewing—Richmond: Small-batch brewery coming to the Northside area of Richmond in early 2019. Honor Brewing Company—Chantilly: Veteran-run brewery opening in early-to-mid 2019. Nostrum Brewing Company—Fairfax: Northern Virginia brewery opening in 2019 focused on community, quality, and creativity. Cedar Run Brewery—Nokesville: Farm brewery providing quiet and serene atmosphere with excellent Virginia beers. Hillsborough Farm Brewery—Purcellville: Craft brewery run by the same owners and on the same site as Hillsborough Vineyards. Lonesome Pine Brewing Company—Lebanon: Nanobrewery in Lebanon, Virginia. Buggs Island Brewing Company—Clarksville: The brewery is expanding and moving to a downtown location on the waterfront in Clarksville. Ditchley Cider Works—Kilmarnock: Produces unique ciders from roughly 60 varieties of apples on their 15-acre estate. Sugar Hill Cidery—Norton: New hard cider production facility and restaurant opening in summer 2019. Tarnished Truth Distilling Company—Virginia Beach: Only distillery in the U.S. to be housed inside of a hotel, Tarnished Truth resides inside the historic, recently renovated Cavalier Hotel. Produces rum, whiskey, vodka, gin, and bourbon. Virago Spirits—Richmond: Rum distillery & tasting room that blends traditional techniques with New World creativity. Three Crosses Distilling Co.—Powhatan: First legal distillery in Powhatan, distills rum, moonshine, whiskey, and vodka. Vanguard Brewpub & Distillery—Hampton: Brewery, restaurant, and distillery that makes vodka, gin, single malt whiskey, and bourbon. Ironclad Distillery—Newport News: Historic bourbon whiskey distillery that opened in early 2018. Hill Top Berry Farm & Winery—Clarksville: The Nellysford winery opened a new tasting room in Downtown Clarksville. Briede Family Vineyards—Winchester: New organic vineyard and winery that opened during the fall of 2018. Chateau Morrisette Winery—Roanoke: The winery is opening a new tasting room in Downtown Roanoke. Zoll Vineyards—Gloucester: Will open new farm-to-table winery, meadery, and cidery in Gloucester County. Blue Quartz Winery—Etlan: Grand opening scheduled for early spring 2019. Ashland Theatre—Ashland: The historic theatre reopens on December 26 with the new movie Mary Poppins Returns and offers adult beverages, expanded concessions, and VIP box seating. Shenandoah Tough Adventure Race—Multi-day race in the Northern Shenandoah Valley that covers 250 miles with soloists and small teams navigating the challenging and beautiful terrain via foot, mountain bike, and boat. Richmond Raceway Reimagined—Richmond: New infield fan section completed in 2018, bringing guests closer to the racing action. VCU’s Institute for Contemporary Art—Richmond: Modern art museum opened in 2018 on the Virginia Commonwealth University campus. George Washington’s Ferry Farm—Fredericksburg: Recreated boyhood home of George Washington provides an interactive experience for guests, teaching them how the first President of the United States spent his formative years. Historic Academy of Music Theater—Lynchburg: Reopened in Lynchburg after closing in 1958. The theater will seat more than 800 patrons. Mountain Biking in Virginia’s Blue Ridge—Various Locations Around Roanoke: Virginia’s Blue Ridge, America’s East Coast Mountain Biking Capital, was designated a Silver-Level Ride Center by the International Mountain Bicycling Association. Shuckapalooza—First annual event happening April 12th that combines seven unique oyster experiences at seven different locations in Virginia’s River Realm. Luray International Duathlon—Olympic distance duathlon in the Shenandoah Valley near Luray in August 2019 that includes trail runs, road cycling, a 10k, and more. The Salty Southern Route—Southeastern Virginia’s new trail opens March 1st and showcases Virginia’s pork and peanut products. Wytheville Wine Festival—First annual wine festival happening July 2019, featuring Southwest Virginia wines, cuisine, and music. The Arlington House—Arlington: Fall 2019 brings the grand reopening of The Arlington House, the Robert E. Lee Memorial on the grounds of Arlington National Cemetery. James Monroe Birthplace—Colonial Beach: The reconstruction of the birthplace of President James Monroe will include a rebuilt colonial home, a scenic walk (complete with granite historical markers along the trail telling the story of Monroe’s career), a bicycle trail, a canoe launch, and a picnic pavilion. Fort Monroe Visitor & Education Center—Hampton: Will open August 23 as a legacy project of the 2019 Commemoration, American Evolution . This year Virginia’s 2019 Commemoration, American Evolution will commemorate 400 years of democracy, diversity, and opportunity through events and legacy projects taking place all over the state. Learn more about the historic events of 1619 Virginia and commemorative events happening this year. The post What’s New in Virginia for 2019 (& the Hottest New Destinations for 2018!) appeared first on Virginia’s Travel Blog. January is only a few days away, and while you may be tempted to stay indoors and cozy up on the couch, there are plenty of exceptional events and winter getaways in Virginia to keep you busy during the month. Check out the following festivals, special events, and fun-filled vacations suited for all ages happening in the Commonwealth this January. Lewis Ginter’s GardenFest continues in the first week of January with GardenFest for Fidos, a pet-friendly winter event. Leashed, well-behaved pets that have current rabies vaccinations are welcome to explore the magic of Lewis Ginter’s evening light show for just $2 per pet (which benefits the Richmond SPCA). If you’re a fan of fine dining in the Commonwealth, you’ve probably attended a special Virginia Restaurant Week, but if you’re looking to try something new in 2019, make reservations at a participating restaurant for Winchester on the Rocks. Rather than focus on food, this week-long event puts the spotlight on incredible cocktails. 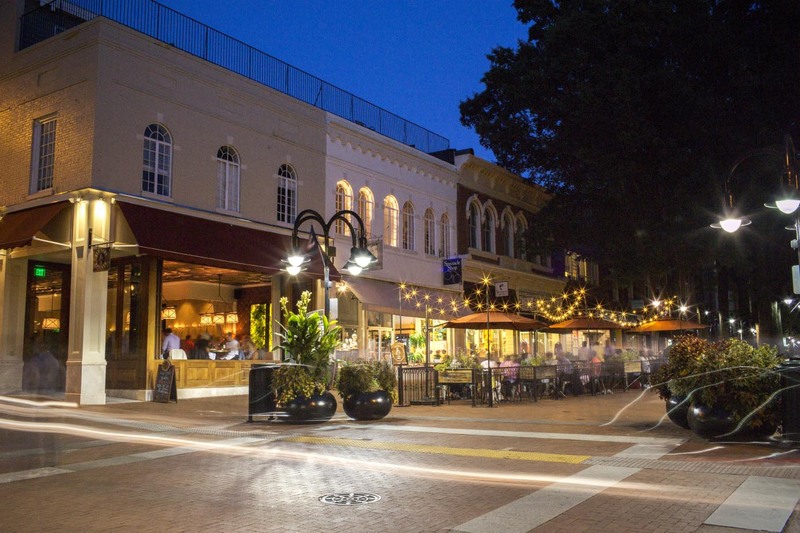 Participating restaurants in Winchester will offer special signature cocktails at $7 each or $5 mocktails for the teetotalers, showing off their bartending skills with a mix of traditional cocktails and experimental libations. Sample a few different options and then vote for your favorite specialty drink; judges will designate the winning restaurants with “People’s Choice” and “Judge’s Choice” awards after the seven-day showdown. The 6th annual Winter Ice Fest and Mega Block Ice Carving Competition is as free event held at the Village at Leesburg. Eight internationally acclaimed ice carvers compete against one another as they sculpt frozen masterpieces in front of a live audience. 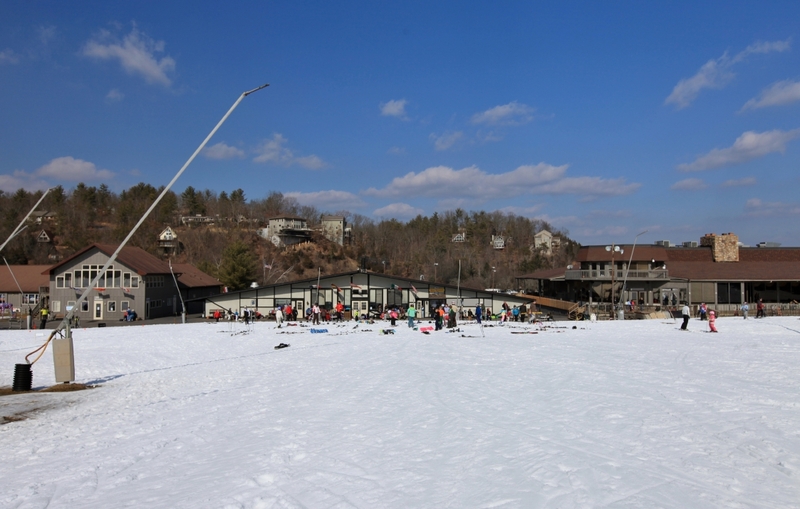 The event also includes musical performances, an “iceless” ice skating rink, and interactive games and activities for the whole family. Warm up during the festival in the cozy igloo lounge areas, where you can dine on food and drinks from local Leesburg restaurants. All National Parks in Virginia will waive their entrance fees on Martin Luther King, Jr. day, allowing you to experience the breathtaking beauty of Virginia’s Great Outdoors without spending a dime! Presented with the Virginia Department of Game and Inland Fisheries, the Winter Wildlife Festival is held at the Princess Anne Recreation Center in Virginia Beach, but there are also several outdoor nature walks and workshops held at nearby parks and wildlife refuges. Bring the kids to see live animals, participate in nature-based workshops, and learn more about the wildlife found in Virginia during the winter months, like harbor seals and migrating birds. Local food trucks will serve up some of Virginia Beach’s best cuisine outside the recreation center, and younger children can participate in kid-friendly activities next door at the Princess Anne Library. January is also prime time for migrating whales to pass the Virginia shores, so book a whale watching boat tour in Virginia Beach to spot these stunning animals up close. Held at Roanoke’s Taubman Museum of Art, the International Wine Festival features 30+ of the best wines from around the world, paired hors d’oeuvres and desserts, and live musical performances. As you sip on an array of sparkling, white, and red varietals, you’ll learn about the wine tasting experience from seasoned wine guides, who will teach you about optimal food pairings, understanding regional wine flavors, and everything else you need to know about the art of wine tasting. Tickets are available ahead of time and include access to the art museum galleries. 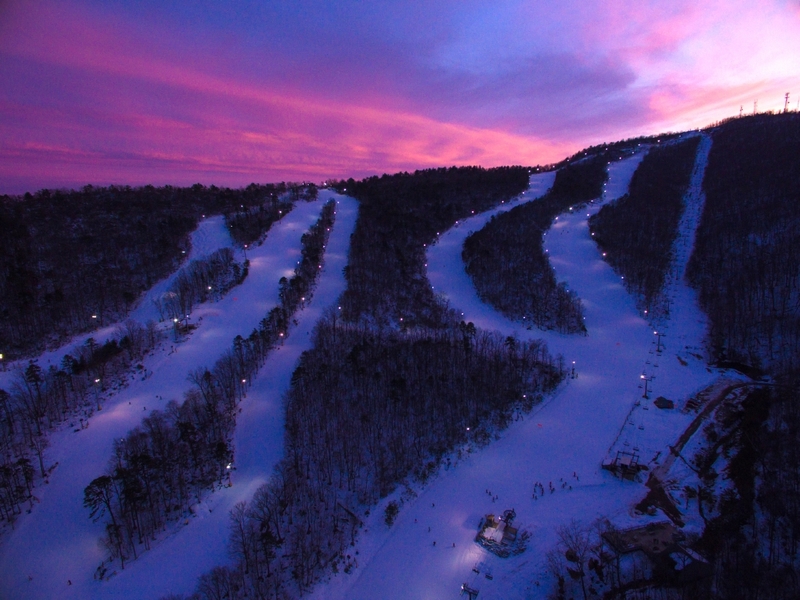 The post Top Things to Do in Virginia This January appeared first on Virginia’s Travel Blog.